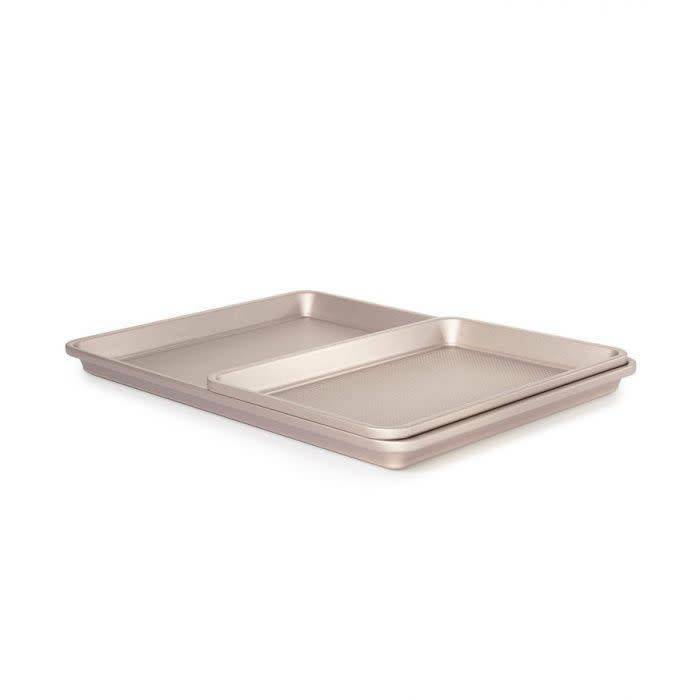 Our Set includes one Half Sheet Pan (13" x 18") and 1 Quarter Sheet Pan (9" x 13"). 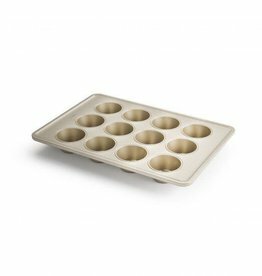 Non-Stick Pro bakeware features a micro-textured pattern for even baking and rigidity to help prevent warping. 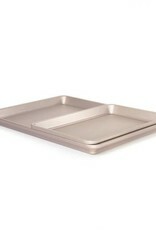 Square-rolled edges provide a secure grip for easy handling and transferring to and from the oven.